The decision by the International Olympic Committee to ban Russia from the 2018 Winter Games in Pyeongchang, South Korea, for widespread doping, but to allow vetted individual athletes to compete on a case-by-case basis as “Olympic athletes from Russia” has seemingly raised as many questions as it has answered. Among them: What in the world will they wear? This may seem a ridiculous thing to ask given the bigger issues of geopolitical relations, morality and national pride, but in fact it touches on all of the above. A volunteer carrying the flag of independent athletes during the opening ceremony of the 2016 Olympic Games in Rio de Janeiro. At the Olympics, of all places, the uniforms athletes wear function as symbols of allegiance and achievement, of years of sacrifice for sport, and the honor of patriotism and the supporters for whom they are competing. Which is why, when the I.O.C. 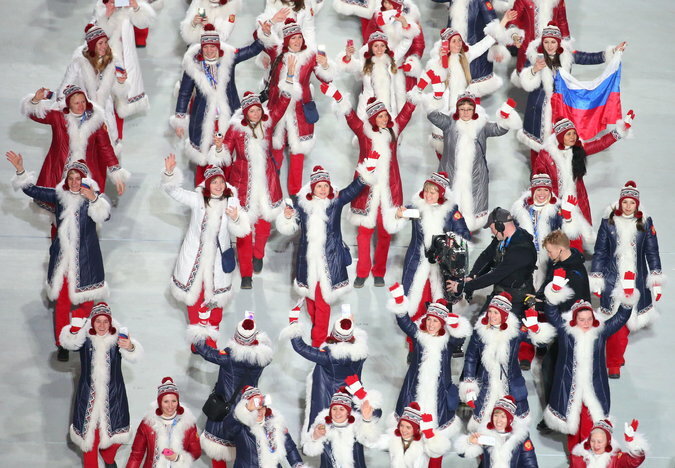 announced its decision, it specified that Russians who do make it through to the Games would not be allowed to do so under their own flag — or their official outfits. Which, by the way, have already been made. ZA Sport, the official Russian outfitter for the Games, unveiled Russia’s uniforms last month, and they were relatively subdued: a lot of tan with red, white and blue stripes, plus some bright red or blue knits, and scarves with a quasi-Constructivist design. At least compared with some past opening and closing ceremony outfits, which have veered wildly toward Cossack and Anna Karenina inspirations (a lotta fur) or toward the jingoistic (logo Russia!). Pointedly, however, they also included more consumer-oriented gear, like sweatshirts emblazoned with “I don’t do doping; I am ZA Sport.” They’re probably collector’s items now. What will replace them, however, is not clear. 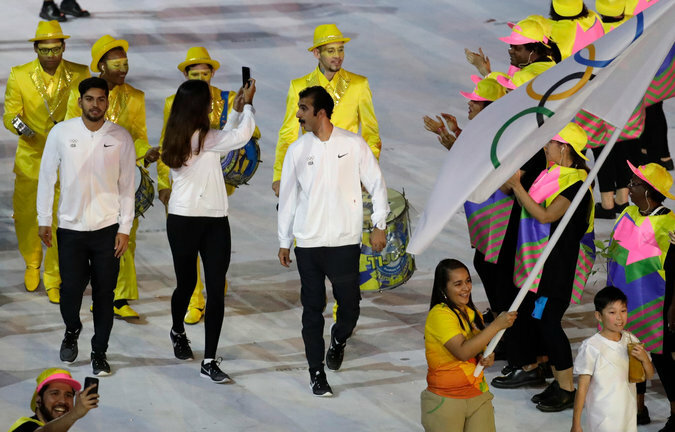 In the past, athletes not affiliated with a national team, whether because their country could not field one or because of political turmoil, have worn “neutral” uniforms designed by a sponsor in a monochrome color and featuring the Olympic rings — at least in formal situations like the opening and closing ceremonies. For performances like figure skating, say, competitors have individual costumes, which would not be affected by the ruling. The Russian team at the Sochi Games. For the 2012 Games in London, for example, Nike designed a white multipocketed M65 jacket with a black swoosh and multicolor rings on the shoulder and a geometric-pattern scarf in Olympic shades for independent athletes from the recently dissolved Netherlands Antilles, and from South Sudan. The effect, amid all the stripes and riotous patterns, was to make them look like the sartorial equivalent of a generic pill bottle next to the branded option.